The Walking Dead: Assault – Games for Android 2018. The Walking Dead: Assault – Game inspired by the popular series. The Walking Dead: Assault - this is an interesting tactical shooter for Android, made ​​based on the popular TV series, about a group of people surviving in a world where most of the population has turned into zombies. 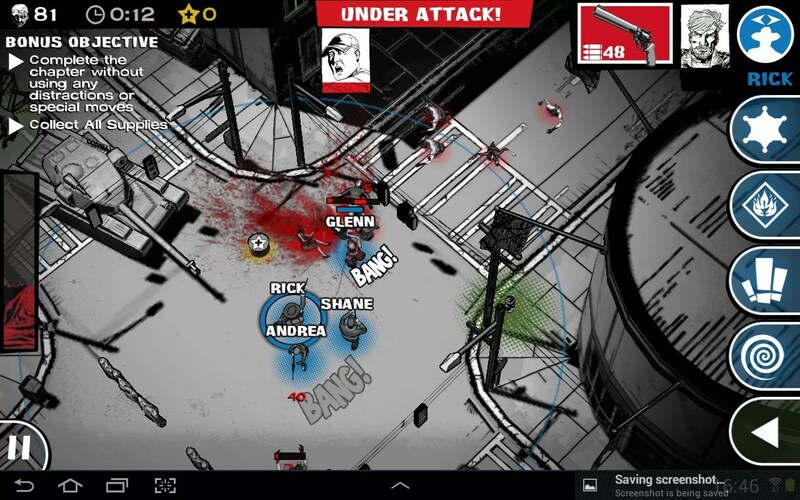 Game development studio is engaged Skybound LLC, and this is their first game for Android. 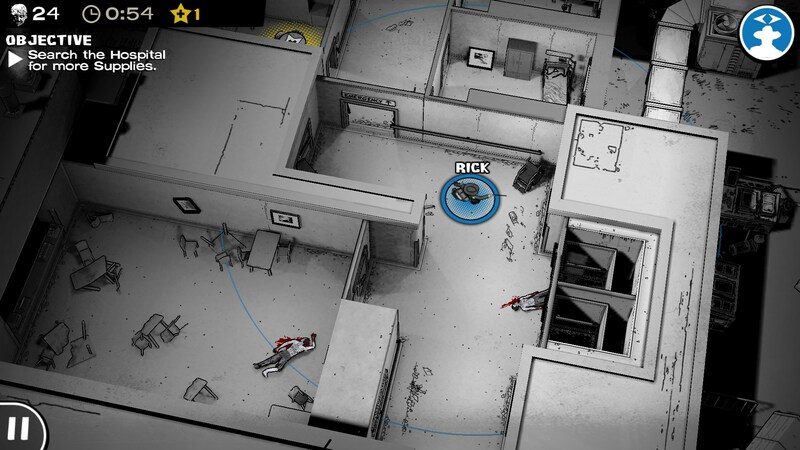 The game is made in black and white style and a view from above, that in itself is very interesting. The graphics in the game are very high quality, the camera can be rotated in all directions and zoom in and zoom out the view to see all the details. The game begins in the same way as the first episode of the first season of Walking Dead: we get out of the hospital and see what the world has come the apocalypse. We will play for Rick, the main characters of the series, but later will join us and the other characters. Management in the game by using the taps on the screen. Just click on the place where you need to move, and our character will run in the wrong direction. If you want to move the entire group at once (most likely it will be) then you must click into place and hold your finger a few seconds. 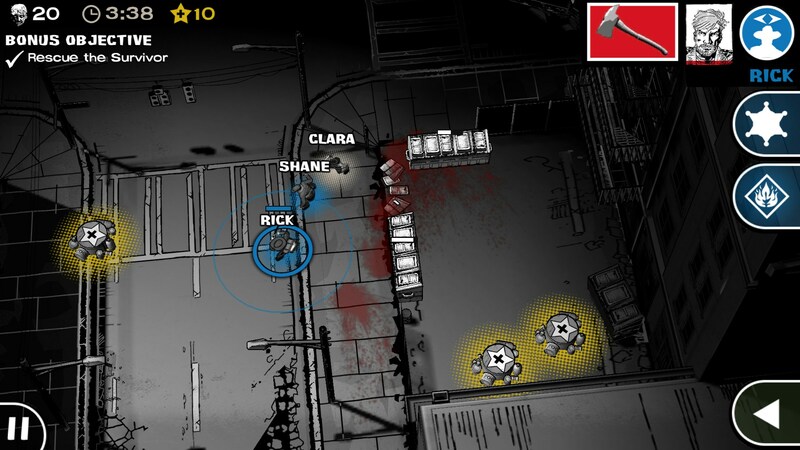 Attack the heroes in The Walking Dead: Assault automatically as soon as the zombies will be within the radius of destruction. 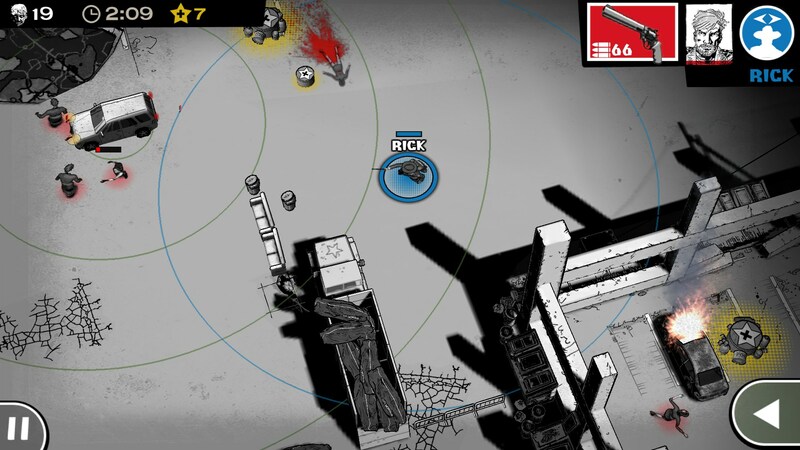 For example, Rick - great shooter and can shoot down zombies from his revolver at a very large radius, while his friend and co-worker fired a shotgun at a distance of only a few meters. 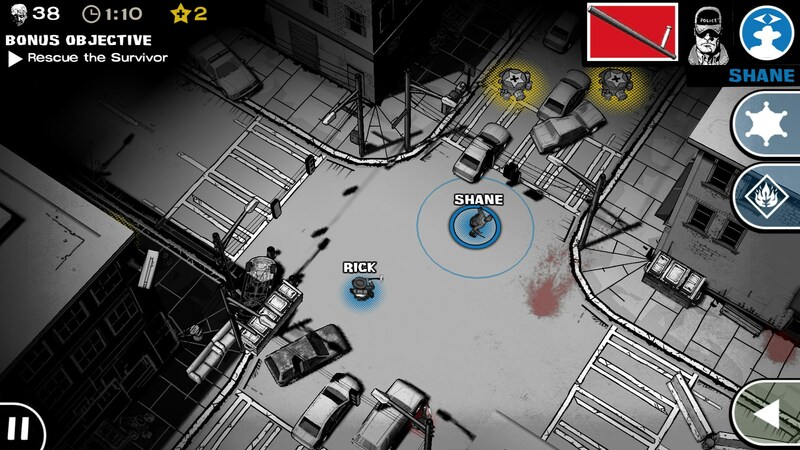 The game has a huge number of different additional features, for example, you can use fences and terrain features for easy shooting, or turn the car alarm and gather all the zombies in one pile. During the mission, we will collect various items, look for weapons, food, and help out people who are in difficult situation. 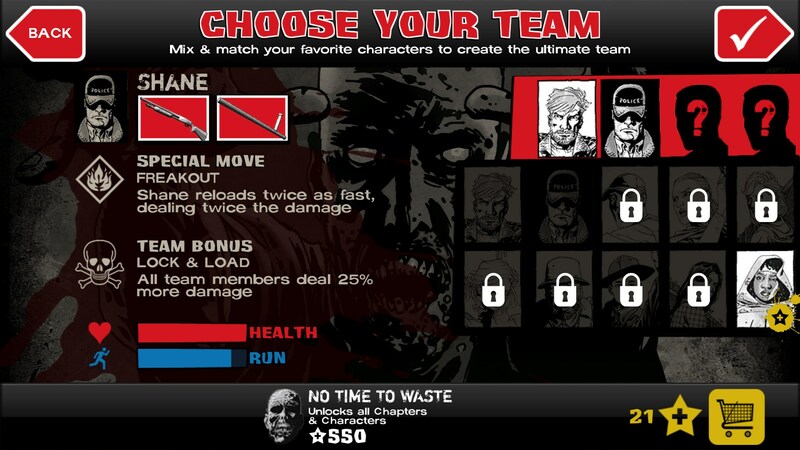 The entire game is split into episodes and missions that go along with updates to the game. Heroes and story based on the popular series. The disadvantages are the long release of new missions and episodes. The developers wanted to make something like a game show, but with the release of the series is clearly tightened. Summary. 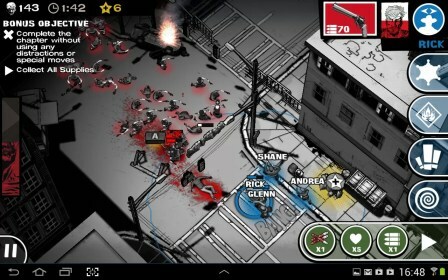 The Walking Dead: Assault - it's a great tactical game for Android, which will certainly please fans of the series. The game is distributed only paid, full version costs $ 3, and all future updates for free. Please am finding it difficult to download game in my Samsung galaxy mega...any help please?